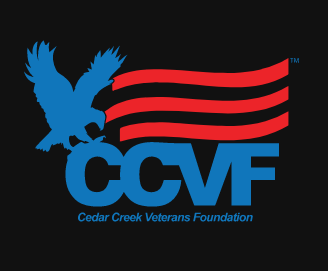 The Cedar Creek Veterans Foundation (“CCVF”) announced 2018 net proceeds donated to charities were $46,000, which is the largest amount donated to veterans’ associations in CCVF history! CCVF donated $31,200 to Fisher House, $6,100 to Hope For The Warriors, $6,100 to Navy-Marine Corps Relief Society and $2,600 to the Payne Springs Volunteer Fire Department for all of their air show support from water operation preparedness to the onsite first aid station. It’s toy drive time, friends. The annual toy drive conducted by Kevin and Jeaneane Lilly’s McDonald’s starts next week and we are proud to say that Weinstein Law Henderson County Now is going to be a part of the process for a second straight year. We will be working with the McDonald’s crew led by Berta Winn and Cori Warren at the Athens McDonald’s on Tuesday, Dec. 4, and Wednesday, Dec. 5. 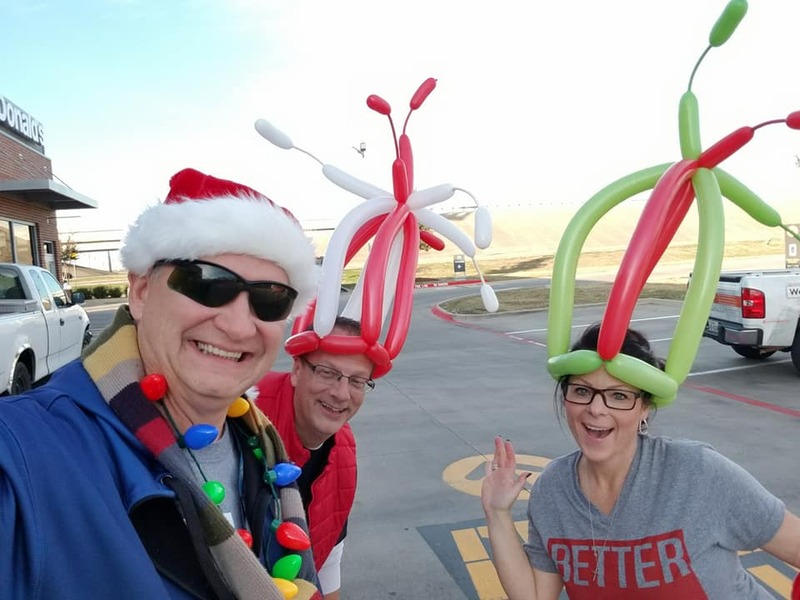 We will be there both days from 7 a.m. to 2 p.m. taking photos, broadcasting live on Facebook, singing, dancing, joking and doing everything we can to collect money and toys for local children. “We are going to set up just like we do every year on the drive thru side and rain or shine, we’re there,” said Berta. Berta said the money and toys raised will not only stay in the county but will stay in the specific area. “That we way we can touch more kids and we’re on two sides of the county,” she said. Drive organizers are asking for money or unwrapped new toys. There will be plenty of updates over the week as we get closer to our event days on Dec. 4 and 5, so please stay tuned to the McDonald’s Facebook page and Henderson County Now Facebook page. But you don’t have to wait until next week to make a donation. You can drop off financial or toy donations at the Weinstein Law Office at 518 East Tyler Street in Athens, right next door to City Hall, or to the Lilly Enterprises Headquarters at 1001 E Tyler St, Athens. Don’t miss the Turkey Trot Thanksgiving morning! It’s time to get trotting! 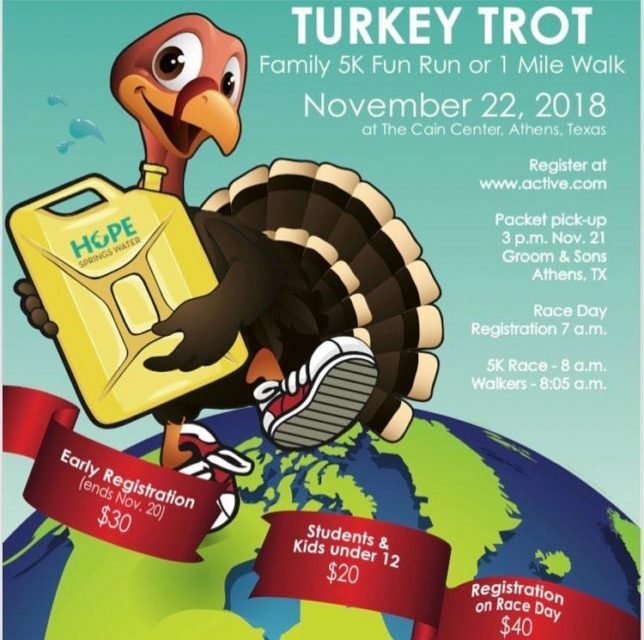 The Hope Springs Water Turkey Trot is Thursday morning, Nov. 22, at the Cain Center in Athens. The race includes a 5K and a 1-mile walk. The good news is you can register the morning of the race at 7 a.m. The 5K begins at 8 a.m. with walkers taking off at 8:05. Author adminPosted on November 21, 2018 Categories Athens, CharitableLeave a comment on Don’t miss the Turkey Trot Thanksgiving morning! The Flying J Wranglers of Alto, NM, are the featured act for an upcoming concert that will kick off the Christmas season in East Texas. 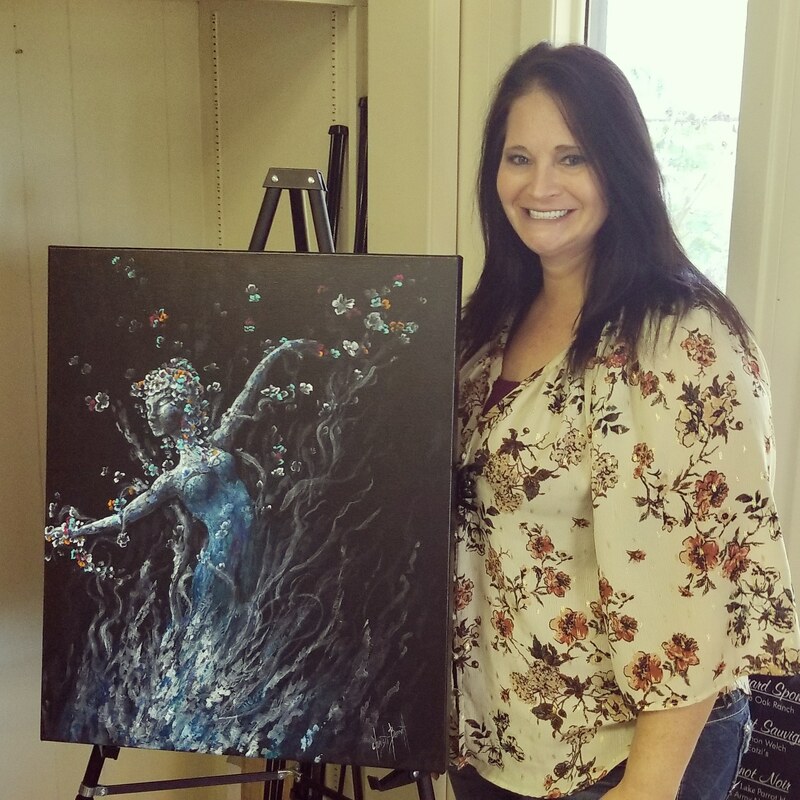 A CASA Country Christmas, set for 7 p.m. Friday, Nov. 30, will benefit CASA of Trinity Valley, a nonprofit providing courtroom advocacy for children in foster care in Anderson, Cherokee and Henderson counties. 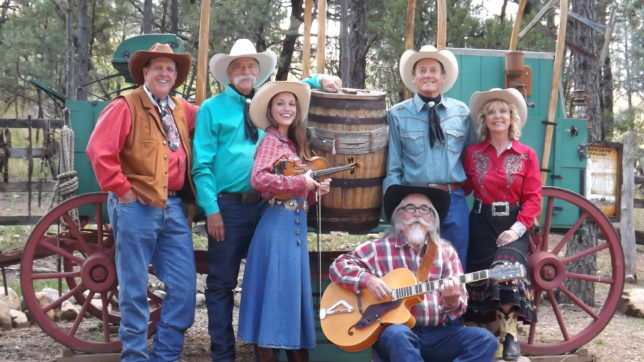 The concert, CASA’s newest fundraiser, will be held at Living for the Brand Cowboy Church, 902 NE Loop 7 in Athens.